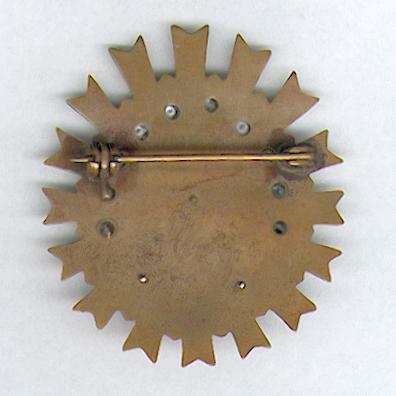 Bronze oval-form order of multi-part construction with sixteen faceted bifurcated rays. 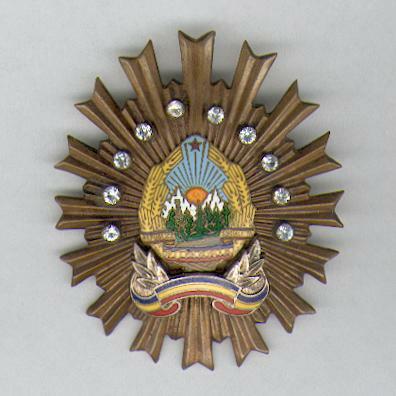 with faceted points between the rays; the face with the polychrome enamel arms of the Socialist Republic of Romania centrally imposed within ten brilliants; the reverse plain with pin for wear; height 61.18mm (2.4 inches); weight 39.18 grams (1.38 oz). The Order was created in 1958 and amended in 1968, in three classes. 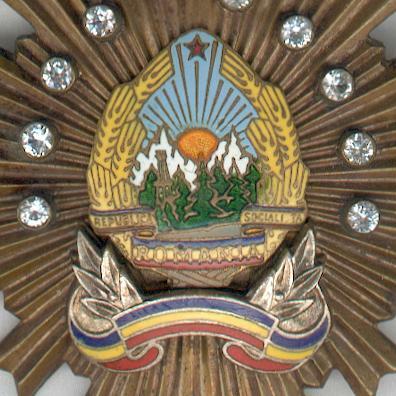 It was awarded to senior members of the Departamentul Securităţii Statului (State Security Department), known universally as the Securitate, the secret police of the Romanian Communist state. The Order is rare in all classes.